Double clicking the squad and only that squad "lights up", not the whole platoon, very useful when the squad is broken into 3 teams, currently the whole platoon highlights. Ability to quick view a unit 90 degrees, currently only 180, which is very useful. Ability to choose or stop buddy aid, or at least do it from the prone position , they are kneeling in buddy aid and " stupidly dying", GET PRONE! 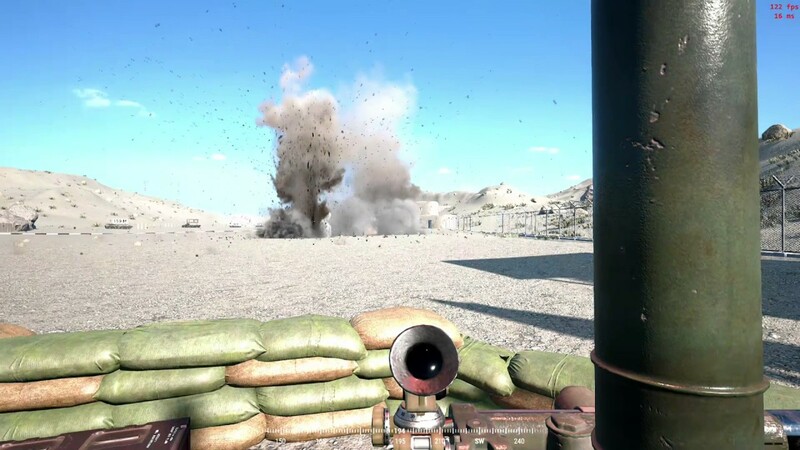 And please reverse the effects of artillery or prolonged HE fire barrages on Inf back to Game engine 3, In game engine 4 all the attacker has to do is barrage a town or defensive position and the defenders scatter to the wind and run out and die, this behavior is quite frustrating and makes it much harder on the defender to "hold ground".Attacking should be EXTREMELY difficult, now its much easier for attackers. Oh, do you mean for BF to make a permanent fix in the Game Engine ?...Yeah, I think so too. WOW ! all that and only having 18 posts...You're going to do great things in your life, kid. am sorry, so please do tell, how many posts does one need to be able to agree with suggestions already mentioned when I also think they would be good to have in future updates? was there any need for you to say that, and then for me to say this in reply, either post constructive to the threads subject in the slightest? I always thought it was gonna be from Barbarossa on. And as far as I remember there was no 1939 or 40 in the East and Western Front CM1 games. CMBB starts in 41, Bo in 44. AK starts in 40, but I think that was only because of Crete? Hey, I have no problem with it. The more the merrier. I'd personally love to see the invasion of France and all that. That would be exotic from a Western Front stand point. But I don't recall ever seeing Steve say we were going all the way back to 39 (or even 40 for France) . Must be getting confused with another game then. Still, I think many of us were hoping for early war battles (Poland & France). Actually, my Comment was meant to be in your favor (with my usual slight sarcasm)...It's just a Good thing for a Newbie to come up with Suggestions in this thread, and not just sit idle on the sidelines. Well, It's still the actual position that a Trooper is in that determines how easily he gets spotted or how well he spots back (Prone is better then kneeling which is better then standing)....So, Yes. My understanding is that the game currently models jams about as frequently as they happen in real live - i.e. pretty much never. Yeah, no. First aid and treatment by medics would not be done laying down. What we should be asking for is dragging injured men to cover. That would be realistic. And getting hit saving your buddies is a time honoured way of getting medals. That would be a worth while feature. Yes. This has been hashed out a few times already - have a search. Try using google's site prefix: search for "site:community.battlefront.com <insert your search terms here>" but without the quotes. That is way better than the built in form search. Two things could be happening here...A Prone Medic giving Aid could easily represent Troops being dragged, and the fact that Medic Troops are not normally targeted in RL helps a little with their survivability, and so 'm fine with this. Except this is new feature request thread so lets request the right feature and not the hack - that's why I mentioned it. Something I am not even sure of myself, but I think that when a unit is being suppressed, but has not spotted the shooters, there is no sound effect ofimpacting rounds, making it more difficult to identify incoming fire. It would be helpful to hear the sound of impacts/ close misses. Throw grenades command - this definitely happens in films at least, and I guess makes sense to do. Manual reload command/ reload when not in contact for, say, two minutes and have no orders. More/improved sound Effects, particularly Italian voices in CMFI, there is a lot of echo on them it seems. well I guess Squad Leader had it wrong then. Its not the idea position but yes it can be done, the other option "dragging them to safety is not moddeled", again self preservation instincts would kick in , no one is going to kneel and help "a wounded buddy"in close proximity and view of the enemy, once the enemy has been surppressed its a different story, Im sure there were/are real life heroic situations, Im not referring to those. One more tweak to a feature, I love the prisoner feature, but more prisoners should be taken in certain situations instead of "fighting to the death"
A feature where Units with Low Ammo fire at a slower rate (vs. troops with normal or high ammo that will fire at a steady rate). I believe as it stands now, It doesn't matter if you have a lot, or a little ammo, troops will still fire at the same pace (assuming the exact conditions are met). I agree. I think all troops should be "taken down a notch", both regarding when they surrender, how much fire is needed to suppress them, etc. Allowing more than 30-odd frames in the explosion animations. I want 150!! Pipe dream - actual particle system so we can create some real beauties like in Squad! Steve already confirmed this is being worked on and a fix will be released in the next patch. This is already in game. If a soldier performing buddy aid gets shot at, he will stop and go prone. Further if there is a known enemy within 80 meters (I think its 80 meters, but if I'm off someone feel free to correct) no one will perform buddy aid due to the spotted enemy in close proximity. ...the upshot of which being that the game doesn't model it. I know, which is why I am suggesting that it should be added. Right now, we have to guess, because nights are always a sort of twilight, and even heavy fog only shows as a kind of mist at long distances, but these things have huge consequences for the battle. The problem I see with changing this is that it would make the game almost unplayable as the player would not be able to see where to move his units or where to have them fire. You'd have to be really gung-ho to want to play under those conditions and BFC has to be able to sell games to players who don't play with a trench knife clenched in their teeth. Must be getting confused with another game then. More likely you were confusing what has been wished for with what has been promised. You are not the first and certainly not the only one to do that.